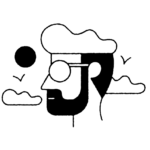 Got the itch to redecorate? Right now, there are so many colorful and chic finds to choose from to celebrate the new season—and Anthropologie is offering 20 percent off full-price home items to make you (and your bank account) happy. Here, we chose some decor accents under $15 to spruce up your space. 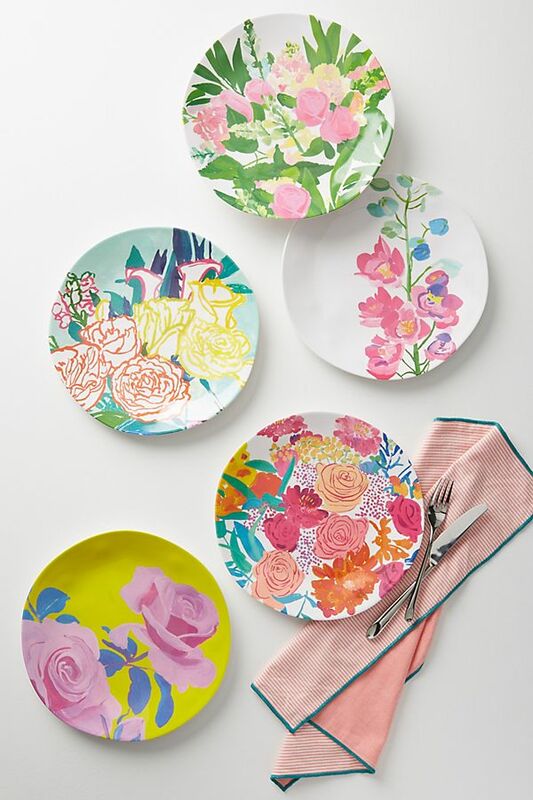 Melamine plates are a good option when you’re serving dinner alfresco—you won’t have to worry about a little wear and tear. To buy: $8 (originally $10); anthropologie.com. Put some succulents on display in these beautiful stoneware pots. They’ll look pretty on a windowsill, a console, or even your kitchen table. Choose from small, medium, and large sizes. To buy: $13 (originally $16); anthropologie.com. 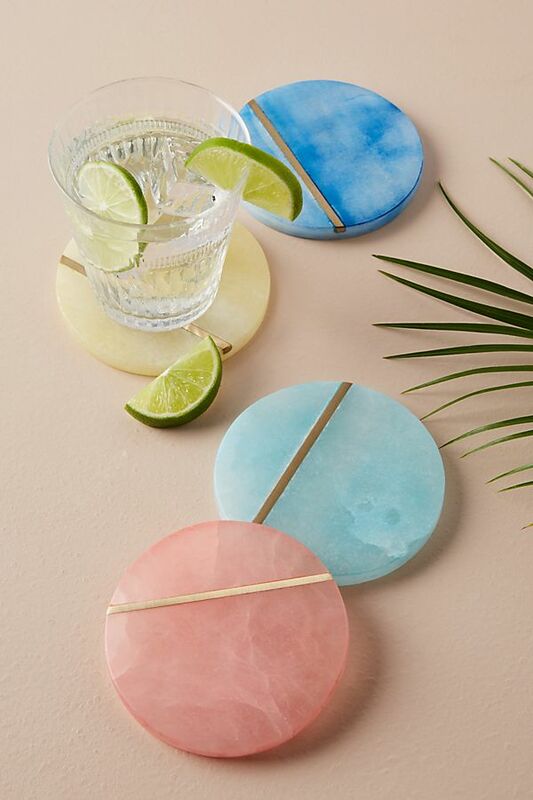 Protect your surfaces and make them pretty at the same time with these stylish alabaster and brass coasters. They come in dark blue, light blue, yellow, and pink. 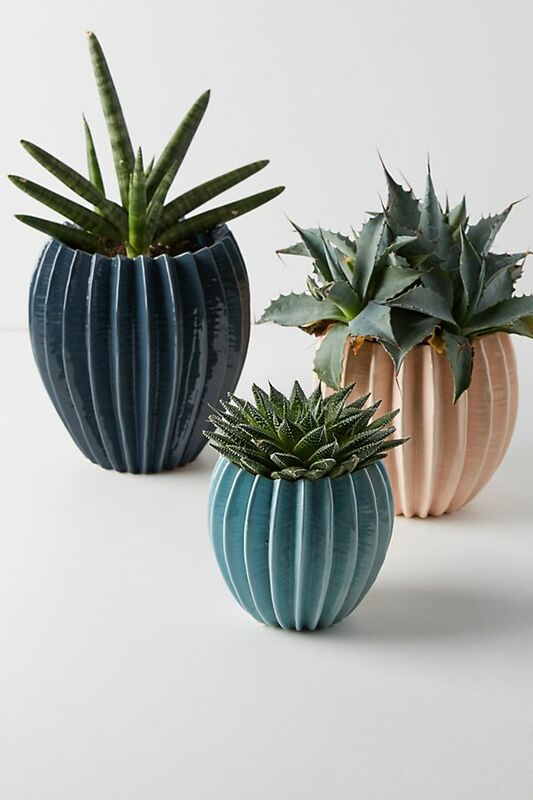 To buy: $10 (originally $12); anthropologie.com. Staying organized never looked so good. 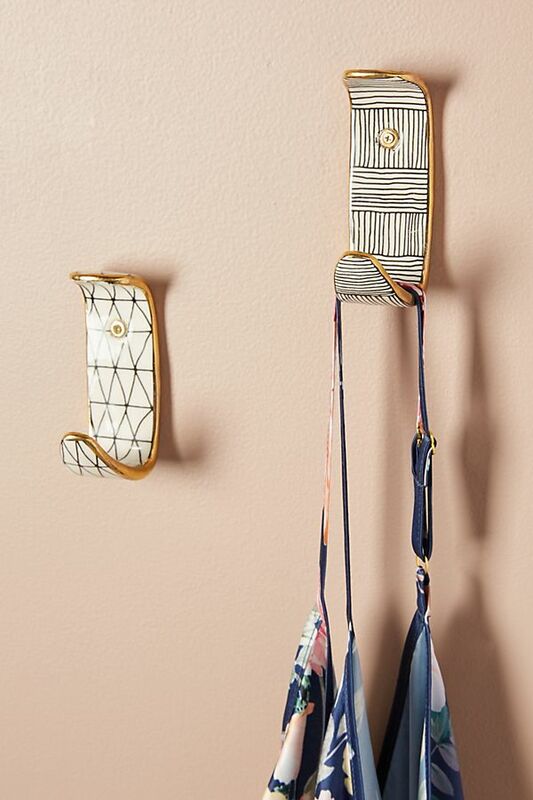 These patterned hooks can be hung in your entryway, bedroom, or closet walls so you can easily hang coats, scarves, and reusable tote bags for quick access. To buy: $12 (originally $14); anthropologie.com. 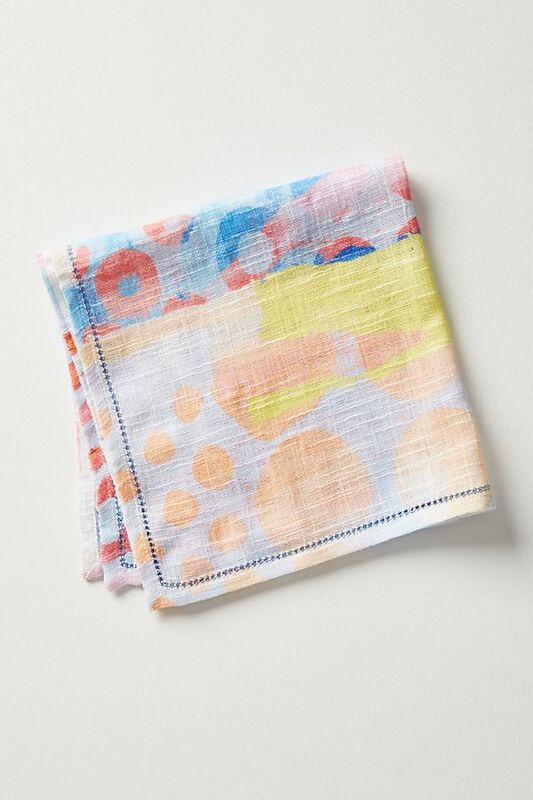 Add some color to your dinner table with these bright colored napkins. 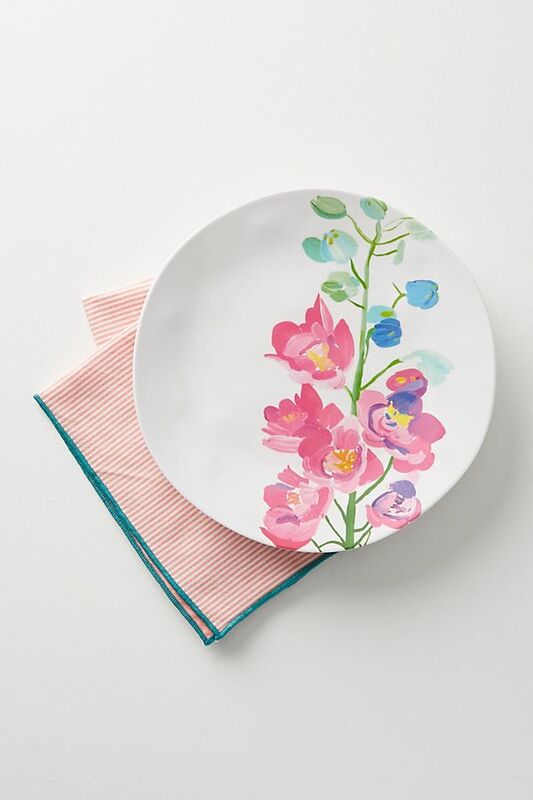 It’s an easy way to update your table for spring without having to splurge on new dinnerware.